Japan is known for its fish-loving population (sushi, anyone? 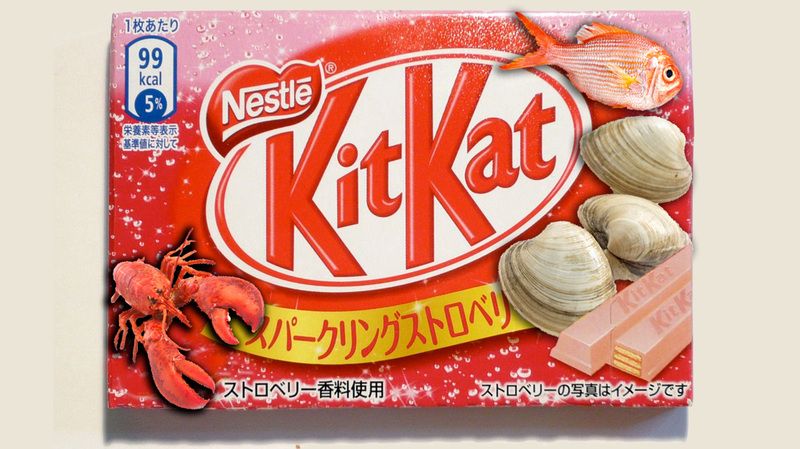 ), but are seafood-flavored Kit Kat bars taking things too far? Nestlé Japan is releasing four new Kit Kat flavors, including clam, salmon, squid and prawn. Now, Kit Kat Japan has a lot of interesting flavors that are truly delicious — I’ve been known to grab a pack or two (or 10) of its green tea Kit Kats whenever I hit up my local Japanese grocery store. But squid? I don’t know. Salted caramel is about as adventurous as I get when it comes to my desserts, and though I am a fan of sweet-and-savory pairings, fishy salmon and smooth milk chocolate just seems like a disastrous combo to me. More for him, I guess? Or… maybe not. After all, today is April 1 — and I’m pretty sure I just got fooled!